New York - Samsung has unveiled a new marketing platform called 'Dedicated to Wonder' at the launch of its 3D TVs and placed digital and social marketing at the core of its activity. Samsung, an industry leader for flat-screen TVs, will begin promoting its 3DTVs on 21 March in the US, before rolling out the activity globally in April. Speaking at a launch event in New York's Time Warner Centre, Tim Baxter, president of consumer electronics at Samsung, said: "3D helps makes our vision a reality. "Digital and social marketing will be a core element of the marketing campaign. Dedicated to wonder is to communicate our value proposition. Focussing on consumer needs keeps us ahead of our competition." 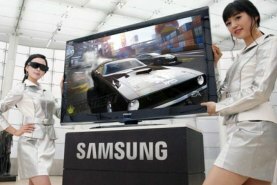 From today, Samsung's 3D TVs will be available in-store in the US and will be available in the UK at the end of April. 3D technology will be able in 17 of its TV product ranges as the brand looks to capitalise on the success of popular 3D films such as 'Monsters Vs Aliens' and 'Avatar'. The launch of Samsung's 3D TVs in-store comes as the 3D TV market hots up with Sony unveiling its new 3D range in Tokyo today. In addition, Samsung has partnered with US film studio DreamWorks for the second time for the launch of 'Shrek 4, Forever After' which will be available in 3D for the first time. The film, which is DreamWork's most successful franchise, will be able exclusively through Samsung's 3D TVs and Blu-Ray players after the film opens worldwide in cinemas including across IMax cinemas from May. DreamWork's chief executive Jeffrey Katzenberg said: "3D is quite simply the entertainment revolution of our time. It has amazing quality and we are working with Samsung because it's the future of entertainment."